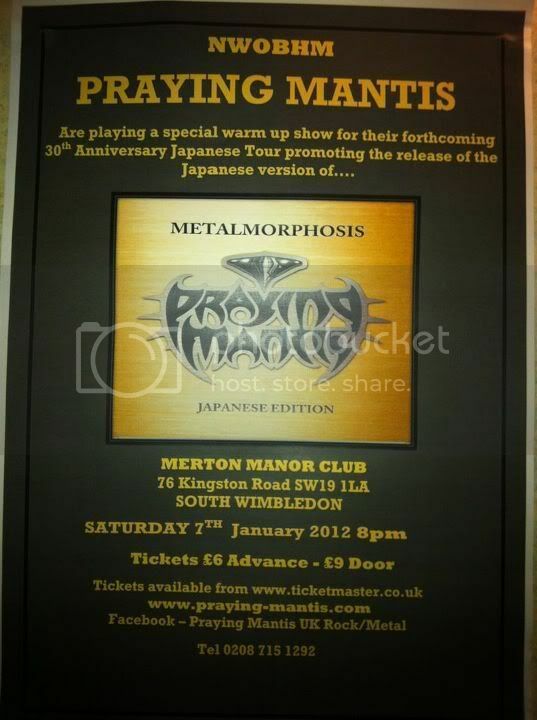 The incredible Praying Mantis live at Merton Manor Club playing a warm up show before their tour of Japan on 7th Jan 2012. Tickets on Ticketweb now ! How brilliant is that !